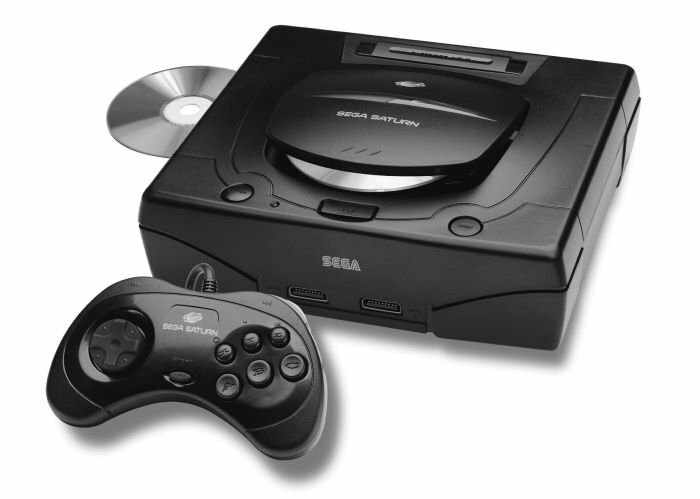 The Sega Saturn, successor to the immensely popular Genesis, was released in North America on May 11, 1995. This was somewhat of a surprise launch as it was four months ahead of schedule. This was done in hopes of getting a head start on the upcoming PlayStation. However, despite being technically impressive and having a head start, the Sega Saturn was a commercial failure and only sold about half of what the PlayStation sold during the Saturn’s short three year life. Ultimately, while the Saturn only sold a little over 9 million units worldwide, the PlayStation sold more than 102 million and the Nintendo 64 sold nearly 33 million. 1 x Hitachi SH-1 dedicated to controlling the double-speed CD-ROM drive. In addition, the system featured 16 Mbit of RAM, 12 Mbit of video RAM, 4 Mbit of sound RAM, 4 Mbit CD buffer, and 256 Kbit of batter backup RAM. Each CPU had 4 kB of cache RAM. It was capable of video resolutions of 320×224 and 704×224 and of displaying 16.77 million simultaneous colors. The VDP1 and VDP2 were essentially GPUs but each designed for specific functions. The VDP1 was designed to handle sprites and polygons while the VDP2 was designed to handle backgrounds and large objects. 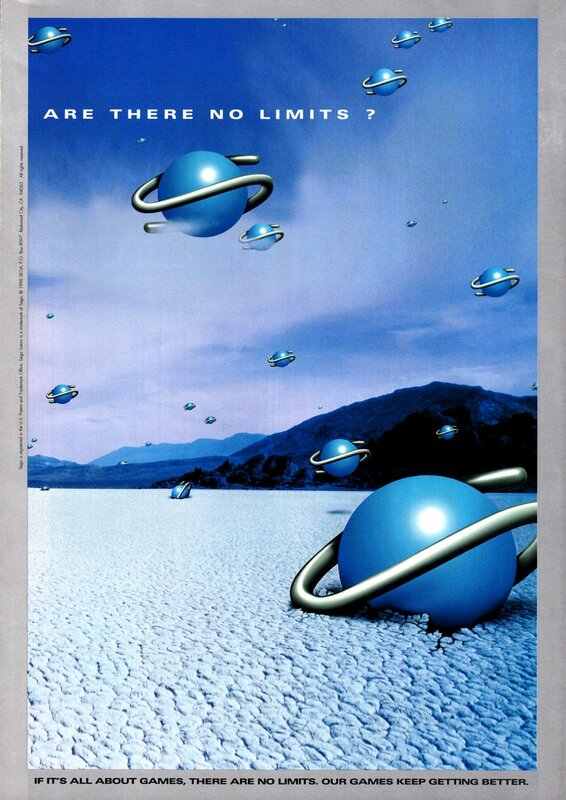 This was a complicated system to program and to make matters worse, available libraries were limited early in the life of the Saturn and most coding had to be done in assembly to avoid the severe performance penalty of programming in C. This situation improved somewhat later on with improved libraries but not enough. Another reason for the Saturn’s failure was the initial slow trickle of quality, high-profile first party games. In fact, Sega would fail to release an exclusive Sonic title on the Sega Saturn. The only Sonic titles released for the system were a slightly enhanced port of Sonic 3D Blast, a compilation of previous Sonic games (Sonic Jam) and Sonic R, a racing game. Sonic X-treme was the planned exclusive for the Saturn and it would have been the first 3D Sonic game. It was scheduled to be released in December 1996 but due to a number of development problems and delays, the game was ultimately cancelled. In addition, the surprise early launch meant that there were only six titles available at launch. The surprise launch also worked against Sega in other ways as well. It alienated a number of retailers, some of which were not included and did not receive units for the launch. KB Toys went so far as to stop carrying Sega products. Also, the early release of the Saturn was muted by the fact that the price was initially $399 while the PlayStation launch price was $299. Third party titles for the most part were not ready until the originally announced launch date months later. This dovetails into what is always the Achille’s heal of systems that fail. Third party support. While there were ultimately a number of quality first party titles (though mostly arcade conversions), third party support was hampered by the complexity of the Saturn and poor development support from Sega. Sony offered excellent development tools and favorable licensing terms and this made all the difference. The Saturn still managed to have more titles than the Nintendo 64 but Nintendo’s first party titles sold better than Sega’s and the average game quality was higher. While Nintendo had Sega beat on average quality, Sony had everybody beat on quantity with more than 2,400 titles released for the PlayStation compared to a little under 600 for the Saturn and fewer than 400 for the Nintendo 64. Still, the Saturn is a nice system to own, particularly if you are a fan of Sega arcade games from that era. Despite the commercial failure of the Saturn, there are still a number of unique and high-quality titles available for it. 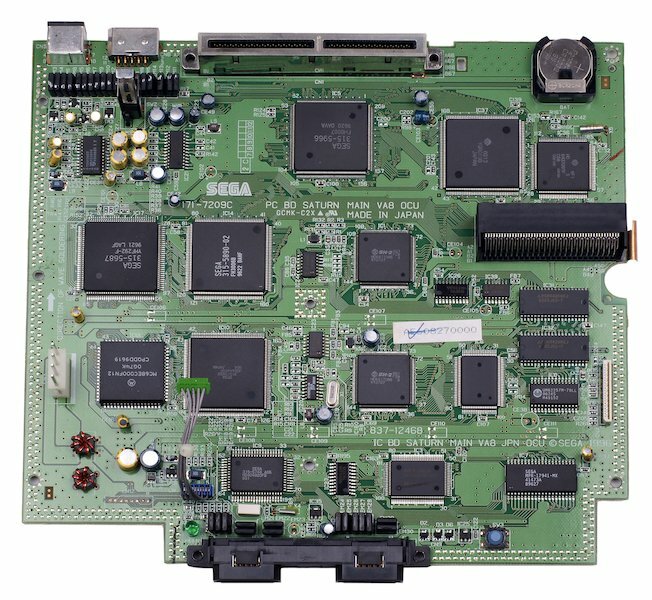 The successor to the Saturn, the Dreamcast, was a much better and more well though out system in my opinion but it was not able to erase the failures of the previous generation and gain back lost support.